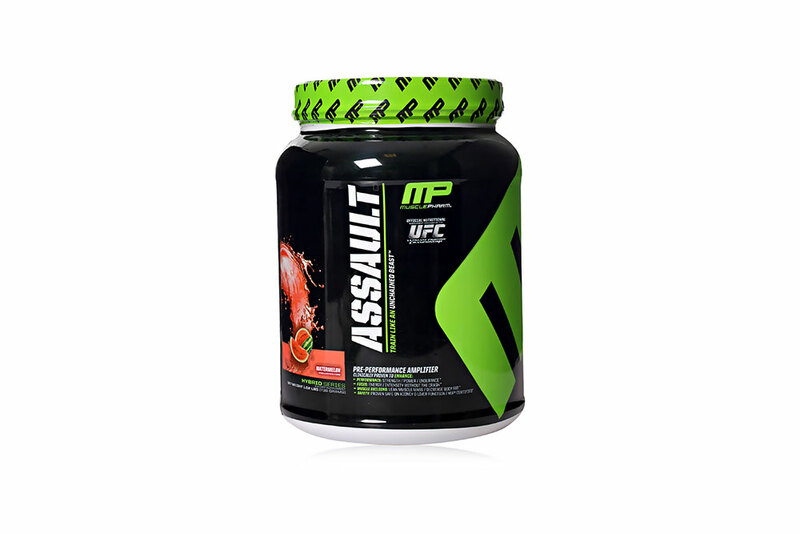 One of the biggest supplement manufacturers Muscle Pharm has released a new product Assault pre-workout supplement which promises nothing but effective results and safety to its users. The company has been in the supplement industry for long producing products for top brands like UFC. Even so, one question linkers in our minds. Does the price merge up the product? Apart from safety, does the product produce results to the users as stipulated? This forms the basis of this review as we try to find out everything about the Muscle Pharm Assault supplement. After conducting test on our subject a large percentage complained of the difficulties faced when mixing the product. Furthermore the powered absorbs moisture quickly thus solidifying at a high rate. Besides this, the use of excessive artificial sugar makes the product too sugary thus making most users uncomfortable with it. How is effective is Muscle Pharm assault? According to the company the energy booster comprises of a mix that provides both physical and mental energy. This is made possible by its energy and Neuron Igniter. Further more Muscle pharm promised explosive energy boost intake. Does Muscle Pharm live to its promise of the product? A majority of the reviews by users shows that Muscle Pharm hyped the product. There was little energy boost explosion shortly after taking the product. Also, the first majority of the users complained that the addition of caffeine as a stimulant to the product altered their alertness. Even though many users hate using products with stimulants, Muscle Pharm has decided to ignore these concerns and added caffeine to thee product. The great concern about the adverse sweetness of the product by customers is due to the addition of artificial sweeteners like Acesulfame and Sucralose. As compared with other supplements with same ingredients muscle Pharm has based its campaign entirely on how it is safe. They fail to inform the user how effective the product is. This is a bad marketing strategy. Informing the users on how it will really help them in their workout is of paramount importance. It is advised that you seek a doctor’s approval before taking this supplement. The ingredients in it can be very harmful and dangerous to your health. Also it is recommended to take this supplement along with a good regulated diet and proper exercise. These attributes of a consistent high quality diet and exercise can only prove to beneficial to an overall healthier lifestyle. Muscle gain can be expected when the proper foods with great amount of minerals and vitamins in them are consumed. This can provide the body with efficient energy needed to endure a grueling workout regime. Some exercises that can develop muscle in the body are lifting weights and doing pull ups.